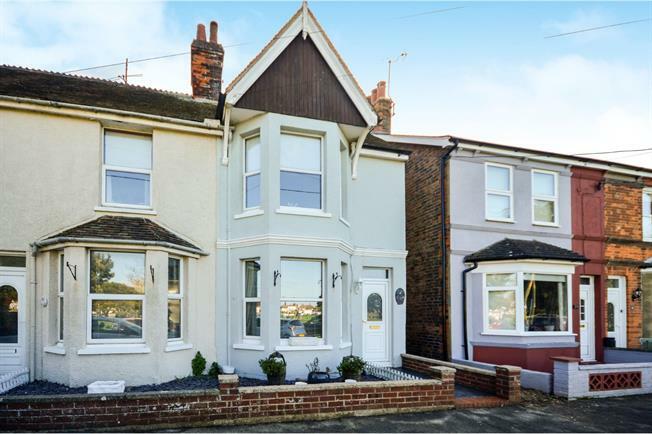 3 Bedroom Terraced House For Sale in Romney Marsh for Asking Price £230,000. Stunning and extended three bedroom end of terrace character house overlooking the Rype. The entrance hall has stairs leading to the first floor. The lounge is to the front of the house with bay window with views across The Rype. Separate dining room with under stairs cupboard. Good size kitchen with range of wall and base units with sink set in work top, breakfast bar, patio doors opening into utility/conservatory area with access to the rear garden. Upstairs the master bedroom is to the front with bay window overlooking The Rype. Two further bedrooms. Bathroom. The rear garden has a patio, lawn, shed and fenced surrounds.